Burning Bulb Publishing is pleased to announce that three titles are available at Kerri’s Korner Bookstore for $9.99. Kerri’s Korner is located at 1011 Speedway Ave. in Fairmont, West Virginia, just across from McDonalds. So grab a burger and a book! Stop in today an pick up your copy of ForeWord’s Reviews Magazine’s 2010 Book of the Year Finalist Darkened Hills. When an archeological dig goes horribly wrong, the team is trapped in an alternate world where evil awaits them at every turn. Find out who will survive the Passageway! Lumberjacked the axe wielding horror novel from Rich Bottles Jr.
Passageway is an unforgettable tale that spans four continents and takes the reader to the very realm of Hell itself. Skeleton warriors, zombies, other undead beings and werewolves are all very real inside the Passageway! Part H.P. Lovecraft and part Indiana Jones, this deadly tale will keep you guessing and wondering which path to take. 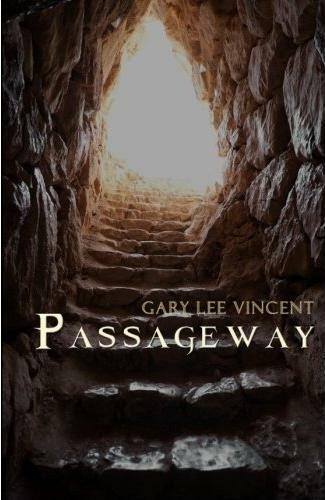 Passageway will leave you breathless to the end! These titles are in stock and available for IMMEDIATE purchase. For more information (directions, title availability, etc. ), visit www.KerrisKorner.net or call (304) 363-BOOK. This entry was posted on March 25, 2011 at 8:25 am and is filed under Press releases. You can follow any responses to this entry through the RSS 2.0 feed. You can leave a response, or trackback from your own site.